Our top recommended password manager. **This post contains affiliate links and Total Digital Security will be compensated if you make a purchase after clicking our links. Your passwords are the digital keys to your kingdom. 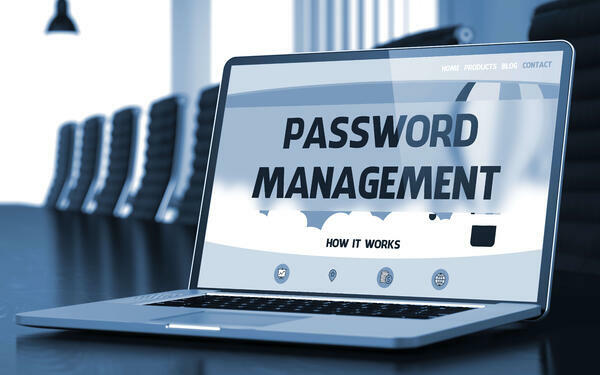 Empower yourself with a solid password manager to simplify and secure the login process for all you do online. Banking and investing, email, shopping, and browsing - using strong passwords is essential for avoiding the consequences of cybercrime. A password manager makes it easy to do, across all your accounts and devices. Our top recommended password manager is LastPass. Click for the free version, or purchase from the "Personal" tab with sync features for your devices. 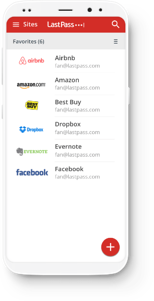 We highly recommend password managers for everyday use, and considering our experience with LastPass and the company's record of innovation and product development, we're proud to include it to our list of "best-in-class" recommendations. **This page contains affiliate links and Total Digital Security will be compensated if you make a purchase after clicking on our links. Creating your master password - our how-to-guide for creating great passwords. Protecting Your Family in the Digital Age - a white paper. Cybersecurity for Home and Family. Get the free or paid versions of LastPass, here. Back to the main Products page. Back to our Home page.